837F Anon. 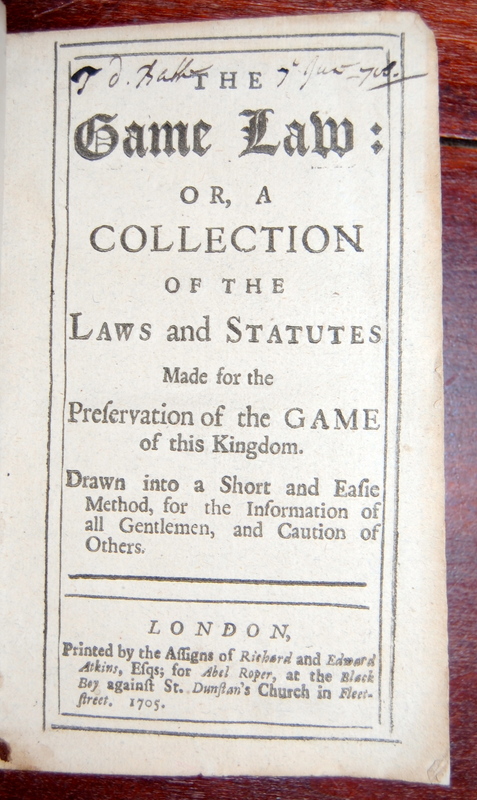 The Game Law: Or, A Collection Of The Laws And Statutes Made For The Preservation Of The Game Of This Kingdom. Drawn Into a Short And Easie Method, For The Information Of All Gentlemen, And Caution Of Others. So cool. Wish I was the Son of a Baron! Hilarious.